Worked as a television news anchor and reporter for 20 years. Most recently in Raleigh, NC and before that in New Orleans, Mobile and Dothan AL, and Panama City, FL. Once a journalist, always a journalist. After being blessed with two sons, Melanie questioned her professional sacrifices for more family time. Her mother quoted Jackie O, "If you bungle raising your children, I don't think whatever else you do matters very much." Words to live by. Can't imagine life without fur babies. My dogs are the only ones who greet me at the door. Is completely addicted to HDTV's House Hunters International, Hawaii Life, Caribbean Life, and all shows about Island Life. Can you guess where I really want to live? Refuses to pay someone to do something I can do myself. I'm a DIY kinda gal. Melanie Sanders is an accomplished journalist and communication specialist with more than twenty years of experience. 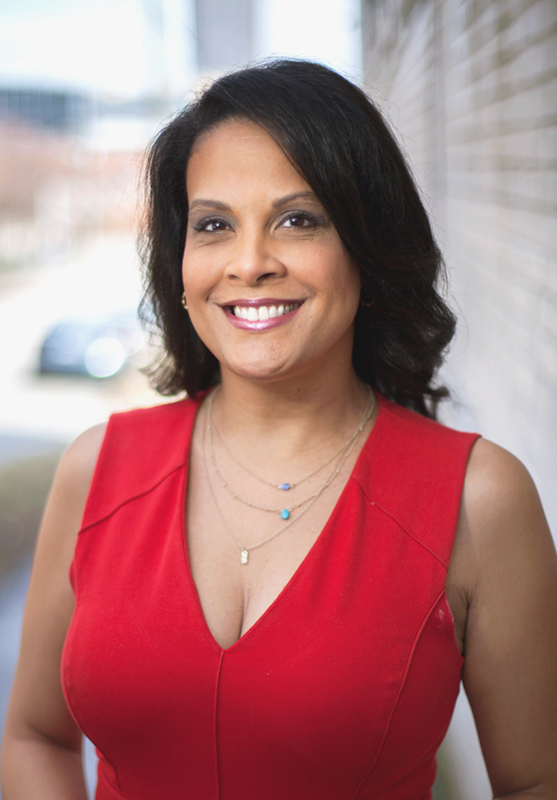 She has worked as a news anchor and reporter for television stations in New Orleans, Mobile, Dothan, Panama City, and most recently at WNCN in Raleigh. During her successful career in television, she launched a highly popular franchise called “What’s Next”. From cutting-edge technology to medical breakthroughs, these Emmy-Nominated segments showcased the latest innovators and inventors in the Raleigh/Durham region. Consistently these segments garnered some of the station’s highest viewership on the air and online. Melanie now uses her award winning experience in the rewarding fast-paced world of marketing and professional development training. Her talents include training executives on how to handle the media, crisis communications, public relations, and producing compelling marketing videos for clients. An avid public servant, Melanie believes professional accomplishments are only worthwhile if you give back to the community. She serves on the marketing committee for The Green Chair Project, a non-profit that reuses donated household furnishings to help families in need after homelessness, crisis or disaster. She has also emceed events such as PurpleStride to benefit Pancreatic Cancer Awareness, The American Heart Association’s “Triangle Go Red for Women Luncheon”, The Raleigh Rescue Mission’s “Hearts of Hope” 2016 benefit luncheon, the annual March of Dimes March for Babies Walk/Run, and the March of Dimes North Carolina Chapter’s annual fundraiser luncheon.